If you have visited a great family attraction please let us know, using the button below, and we will add it to our list. Many of the locations below are free. Farthinghoe Nature Reserve is a 3.7 hectare Local Nature Reserve in Northamptonshire. Badgers dig and bats swoop around this former landfill site. This long, narrow, amazingly diverse site is now a mosaic of developing woodland, open grassland and ponds. The meadows are improving each year as a result of better management, which includes harvesting hay late in the year to maintain low soil fertility. Park - November to January: 8.00am to 4.00pm. Weekdays 10.45am to 2.15pm. Weekends, Bank Holidays and Warwickshire school holidays 10.45am to 3.15pm. Geocaching is a free outdoor recreational activity, in which participants use mobile phone and other navigational techniques to hide and seek containers, called "geocaches" or "caches", at specific locations marked by coordinates all over the world. 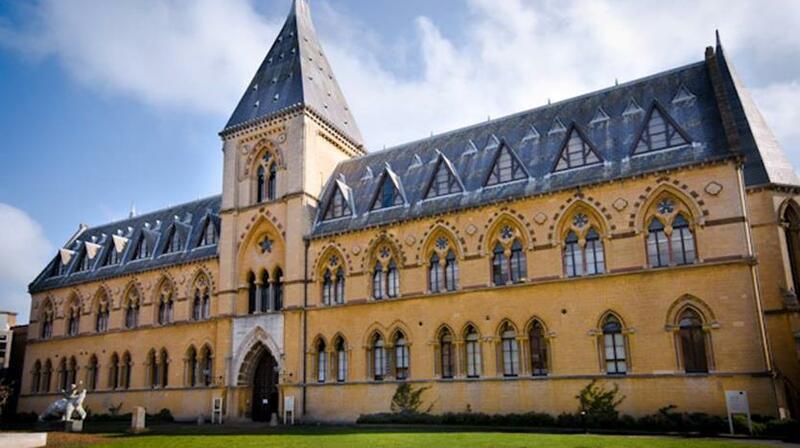 The Oxford University Museum of Natural History houses the University's scientific collections of zoological, entomological and geological specimens which make for a fascinating exploration. The Museum itself is a Grade 1 listed building, renowned for its spectacular neo Gothic architecture. Among its most famous features are the Oxfordshire dinosaurs, the dodo, and the swifts in the tower. Have the children look for the dinosaur footprints outside in the grounds! The Pitt Rivers Museum offers free drop-in family events and object handling opportunities that take place on the first Saturday of every month, every Sunday and during school holidays. Children can also join in with an assortment of family trails (aimed at under 5s) that you can pick up a map at the information desk or download in advance to save yourselves some time. There's also a free family guide book you can borrow, along with a torch for the darker corners! ​Salcey Forest is a fragment of a former medieval hunting forest, It is managed by the Forestry Comission and to promote biodiversity, and is also commercially exploited for timber products. Salcey Forest lies between Milton Keynes and Northampton, immediately to the east of Hartwell village. 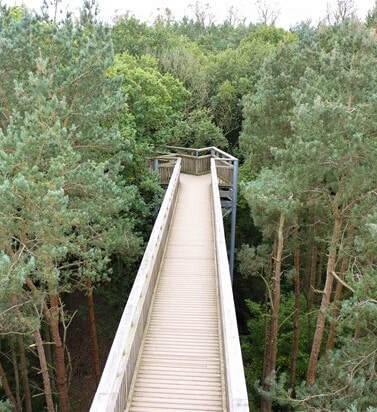 There are some great walks including the Tree Top Walk which rises above the canopy of trees. The cafe has a great selection of food and allows dogs. ​There is a samll wooden playground near the cafe.